SPM Homes are a Cheltenham based, privately owned property development company, focused on the construction of prestigious homes in the local area. The development features 5 contemporary homes in the historic Lansdown area of Cheltenham. Due to the unusual nature of the development, the ‘off plan sales’ had not materialised and a ‘re-launch’ was required. 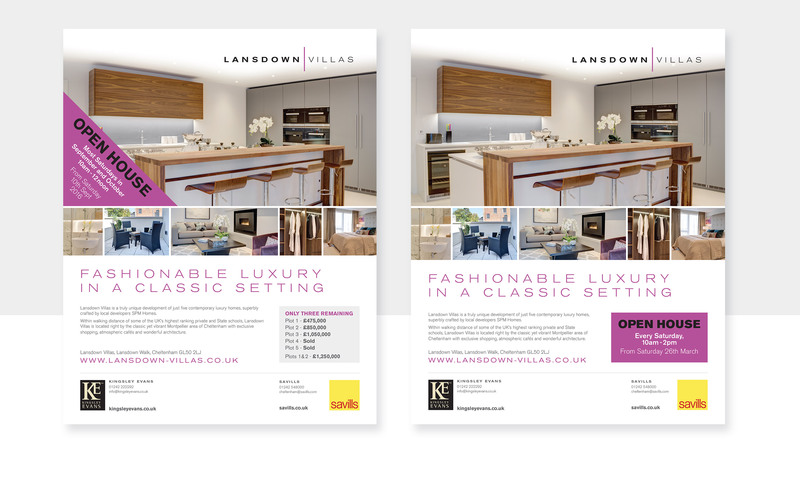 Lansdown Villas needed a modern identity, website and brochure to promote this unique development in the competitive Cheltenham property market. Sales needed a boost. 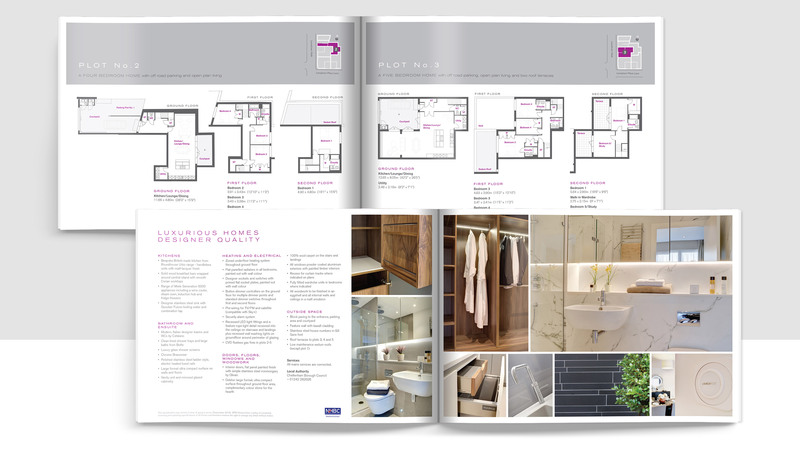 So, once the show home was furnished, we developed a range of marketing materials to aid the sales process. We created a fresh new identity for the development, more in keeping with the contemporary design of the scheme. 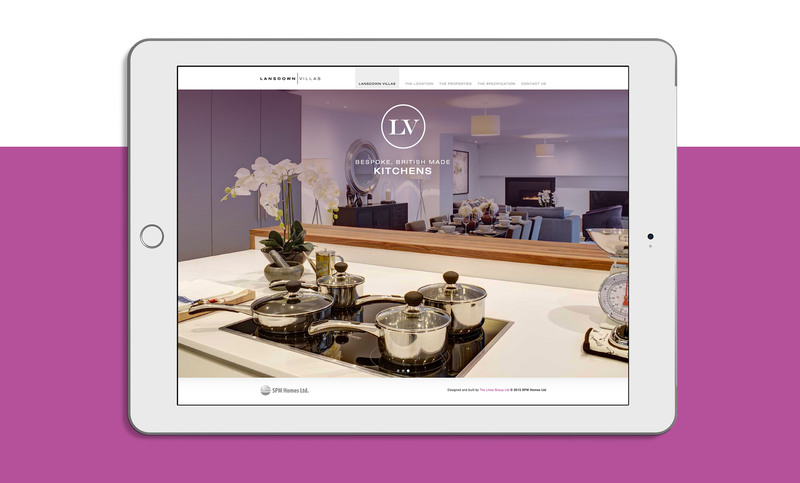 This was then rolled out across a high specification brochure, an impressive microsite and a series of adverts all showcasing photography of the completed show home. 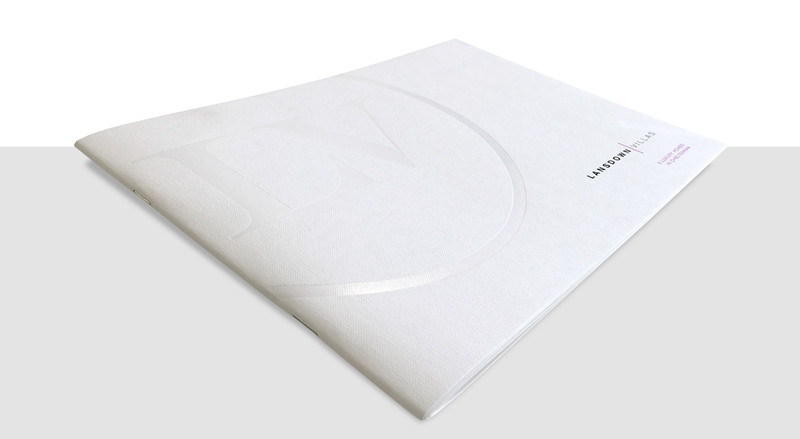 To give the development brochure a ‘high-end feel’, the cover was printed on 540gsm Colorplan White Frost Buckram uncoated stock, with embossing and Spot UV to highlight the logo and text. A fifth colour special purple was also used throughout. Photography of the show home was heavily featured, to communicate the high spec finish and the distinctive design throughout the scheme. 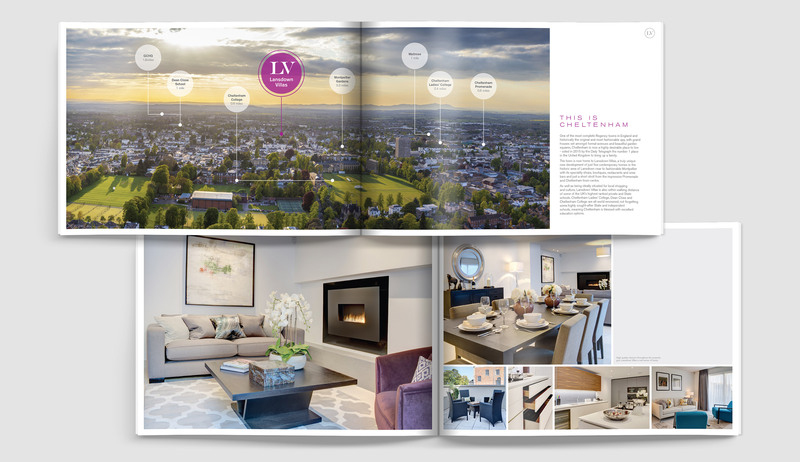 A microsite was designed and built, which presented all aspects of the development, including floorplans, specification and location details, as well as galleries of images to highlight the fantastic show home. Local and national press adverts.